Settlement Values in Testosterone Supplement Class Action | $200,000? 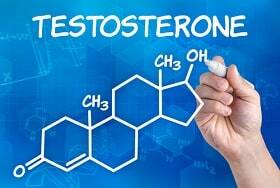 For three months the low testosterone lawsuits filed in federal court have been slowing plodding along. They have been consolidated in a "class action type" lawsuit in Illinois. The next "big thing" to happen will be a case management conference on October 24, 2014 when we will start getting a better idea of how discovery will proceed in these cases. In the meantime, there are a lot of victims sitting on the sidelines deciding whether to wade into these cases. They are asking questions -- to themselves mostly -- about how much effort participating in this lawsuit will be, how to hire a lawyer, and so forth. But the biggest question victims have is how much are the settlements expected to be in the low testosterone lawsuits? What Is the Settlement Value of These Cases? It is important to state the obvious here: we going to speculate about what the monetary value of the testosterone cases could be. It is pure speculation. Discovery has not even begun which means we really do not know what the evidence is going to look like at trial. At this point, the cases could break a lot of different ways. This is going to be educated guess much like political pundits looking at the 2106 presidential elections. Those important caveats said, we are going to predict an average settlement in the low testosterone cases at $200,000. Why $200,000? The most common injuries in these lawsuits are going to be strokes, heart attacks, deep vein thrombosis, and pulmonary embolism. If you are a mass tort lawyer, these injuries remind you of the Yaz birth control lawsuits. This $200,000 number ended up being the approximate average settlement value in the Yaz cases for these same injuries. Why Yaz Might Be a Good Settlement Barometer? Setting aside the obvious difference between the products, there are some striking similarities beyond just the injuries they allegedly cause. First, they are both huge money makers for their manufacturers to the point where massive injury settlements do not change the fact that there are wildly profitable medications. It is also important to note this is not a product recall type mass tort case. Few people have suggested banning Yaz or testosterone supplements altogether. This issue is one of warning. The manufacturers of Yaz and low T drugs could have just as easily put a warning advising patients of the risk which would have made lawsuits an uphill climb. Sometimes, drug manufacturers do not put on warnings because they fear that it will hurt sales because doctors and patients will be wary to prescribing/using the drug. Like the Yaz cases, testosterone manufacturers can take a little bit of a sales hit but can settle the cases without killing the viability of the product. The tough cases to settle are the ones where it is virtually impossible for the company to both settle the claims and keep the product on the market. This is not an impediment to settling these claims. Also, while there are obviously going to be differences in the relative strength of the liability cases in the Yaz and the low T litigation, decisions on these cases are often not made in the weeds of what the experts are saying during depositions or other details during the discovery process. Often they are done with a broad brush by looking at exposure of risk in terms of the number of plaintiffs and the possible value of the claims, how the product is implicated moving forward, and the public relations risk of adverse verdicts. Bayer bent over backward in the Yaz cases to keep those cases from going to trial and you will probably see a similar dynamic here. There are other MDL mass tort cases with the same injuries where the average settlement is much less than involved similar side effects. Why not use those cases as the barometer? Optimism... and the fact that the feel of the cases seems to line up well with the Yaz template. Is This a Fair Value for the Settlement of My Case? Listen, there is no way for us to know what the average value of these cases is going to be, much less the settlement value of your particular case. We have gone through this exercise because people really want to know what the settlement value of their case could be. But there are still a lot of things that could happen that could increase or decrease the value of these cases. Moreover, even on the chance that we are right about the average, this would not necessarily tell us the value of your case. We are going out on a limb speculating on a settlement amount but we cannot go too far. But, bigger picture, you have to keep in mind that the settlement value is always going to be less than the value you would get at trial if a jury found in your favor. If you want to get the full value of what a jury would give you for these side effects, you have to take your case to trial. What If There is a Class Action Settlement and I Do Not Want to Settle? We continue to get too far ahead of ourselves but this is a question that should be addressed. You almost always have the option of opting out of any settlement and taking your case to trial or holding out for a larger settlement. There are some cases where this is not only an option but a good idea because you have unique facts that make your case stronger than those that appear to be similarly situated. Have you or a loved one used a testosterone therapy treatment such as Acrirom, Fortesta, Androgel, or Testpel and suffered a heart attack, stroke, DVT, or died during treatment? Please call us today at 1.800.553.8082 and learn about your options. We can also get the discussion going online.